A little more blue to round out the week! It's been a little crazy here at Chez NK...late nights at work...secret stuff at home...and because I don't have enough projects on the needles already, this hat found its way onto a spare set of circs!! I'm looking forward to a relaxing weekend with only knitting and the remote control to contend with. We'll see how that works for me!! LOVE the cables on that hat! Thanks for the shot of my favourite colour. Your photos could make me a blue lover yet. Wishing you a happy Friday and a great weekend! I love this quote by George Bernard Shaw. You will create your knitting weekend of peace. What a great yarn color! 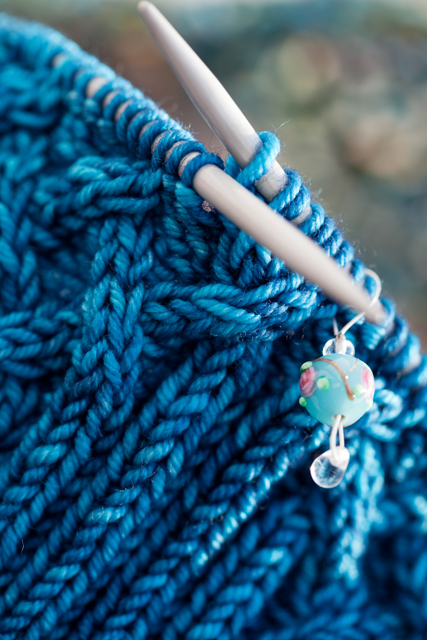 Love your stitch marker also. Have a great weekend. Lovely weekend to you too. 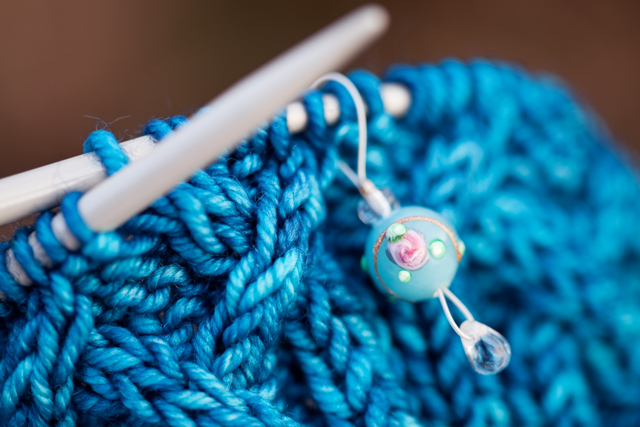 Love the stitch marker--where did you find it?